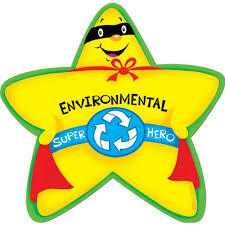 Eco school lead: Miss Letts: responsible for organising, running and overseeing the environmental survey, writing and action plan and supervising the Eco heroes (pupils) while they carry out various eco school work. Eco committee pupil members: school council reps, years 1-6: responsible for making decisions around eco school work, choosing priorities to be addressed and spreading the word about the programme across the school. Eco heroes: 5L class: responsible for carrying out environmental review, creating an eco code, designing posters to be displayed around school based around the 9 topics of an eco school, raising awareness throughout the school by talking to other classes, staff and external visitors. Eco heroes: Fab club year 5 and 6 pupils: responsible for raising awareness throughout the school through using various forms of ICT (eg: making films on the ipads, animations, blogging) based around the 9 Eco school topics. Office staff: Mrs Dawes: responsible for assisting in the green procurement policy, recycling, office queries and follow up. Gardening club: Mrs Wimborne/Miss Letts: responsible for organising and supervising pupils in the gardening club who look after the wildlife garden and planters in the school grounds. Really looking forward to seeing more of the Eco-committee’s work around the school. Thank you Miss Letts for all the hard work you are doing to make Delapre a more friendly eco place to be!